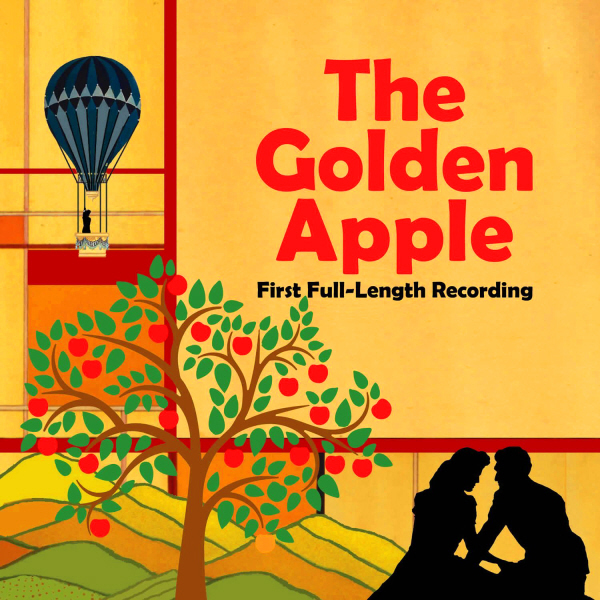 When The Golden Apple premiered in 1954, its blend of American folklore and Greek myth, popular entertainment and high art, and musical comedy and operatic drama was revolutionary. After some initial success, however, The Golden Apple all but slipped into obscurity. In November 2014, the Lyric Stage of Irving, Texas, mounted a fully-staged revival of the musical, featuring an orchestra of 38 and a 43-member cast. PS Classics has released a live recording of this production, making commercially available all 135 minutes of this through-composed musical for the first time ever. While it has some problems one would expect from a live recording of a regional production – moments that don’t quite land, some bum notes and straining voices – overall it is a lush, majestic account of composer Jerome Moross’s ravishing score, a lost masterpiece really. Highly recommended. Richly emotional yet rigorously unsentimental. Lyricist Lisa Kron’s astringent wit and surging music by Jeanine Tesori make for a score that, while sometimes dark, is never depressing. The way Tesori’s music pushes urgently and sincerely at Kron’s mordantly funny lyrics produces a truly exciting tension, not to mention Tesori’s best musical theatre writing to date. Three women actors play Alison at various stages of her life and their performances are the beating heart of this CD: Beth Malone as the introspective and retrospective adult Alison, Emily Skeggs as the girl-crazy college age Alison, and Sydney Lucas as the young tomboy Alison. Michael Cerveris is pitch perfect as the closeted Bruce, especially in the climactic “Edges of the World”, capturing both the love of beauty and the ultimately destructive perfectionism of this very complex man. 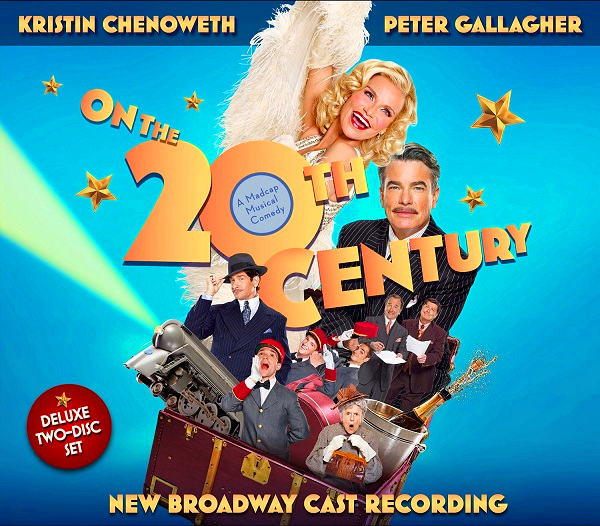 Hearing Kristen Chenoweth at the top of her form and perfectly cast is the whole reason to get this cast recording. The show’s creators, composer Cy Coleman and wordsmiths Betty Comden and Adolph Green, were all masters of musical theatre, but On the Twentieth Century finally works best as a star vehicle. And, thank goodness, Chenoweth is one hell of a star! She is truly incandescent here, her frisky musical comedy chops ideally matched to Comden and Green’s smartalecky wit. There’s also an adorable quartet of train porters – who even get a showstopping number of their own, the Act II opener “Life’s a Train”, which is definitely a highlight of this recording. The whole score is never less than a giddy good time. The setup for An Act of God is that the King of the Universe has come to speak directly to the Jewish people – which is why he’s chosen to appear on Broadway. He’s brought along a new set of Ten Commandments that confirm mostly that a) humans should be nicer to each other and b) they shouldn’t bother him. 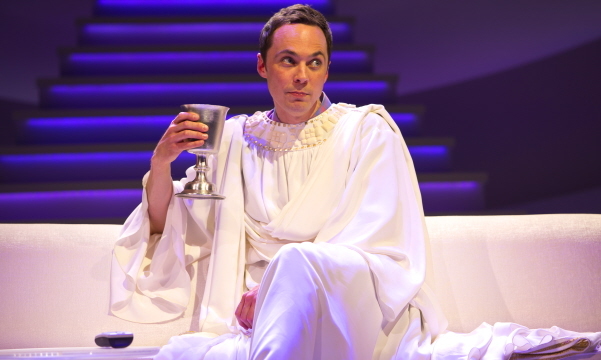 Jim Parsons plays the deity, and he is the primary reason to see the show, combining the effortless winsomeness he’s known for with a more authoritative edge. His comic timing is razor-sharp as always, made even sharper with the danger of an all-powerful deity slowly realizing something is seriously wrong with him. An Act of God is the most recent outgrowth of a “Tweet of God” twitter account written by Daily Show scribe David Javerbaum, and it does have the tart-tongued directness of a series of funny tweets. Does this a Broadway show make? Well, Javerbaum is a savvy satirical writer, and has done a workmanlike job of molding this material into something more substantial. He ends up making some very thoughtful and thought-provoking points. Nonetheless, Javerbaum isn’t aiming for the stars here – he’s set out to write a pointed but lightweight satire on organized religion, and he pretty much nails that modest goal. Director Joe Mantello is every bit as polished a craftsman and artist as Javerbaum, and has dealt with this light piece with an appropriately light touch. He’s passed this lightness onto the design team. Set designer Scott Pask has given us heaven’s posh waiting room with a stairway to greater heights, and Hugh Vanstone’s witty lighting design puts storytelling in the forefront. Recommended. This is totally charming! 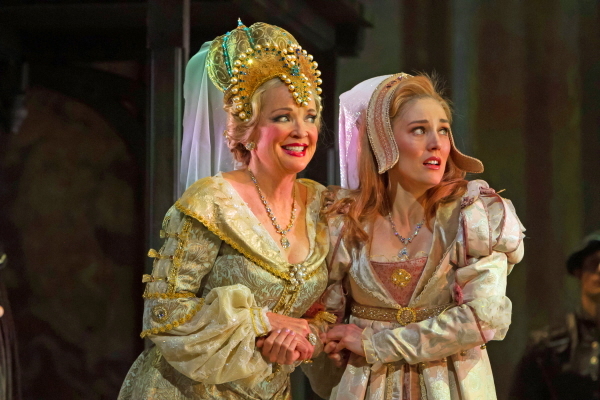 And with a cast that features personal favorite Christine Ebersole as well as Julie Halston, Tony Sheldon and a slew of similarly singular talents, Ever After is also eminently watchable. Oh and did I mention that the score by composer Zina Goldrich and lyricist Marcy Heisler is one of the more tuneful and solid I’ve heard in a while. I guess I’m a fan! 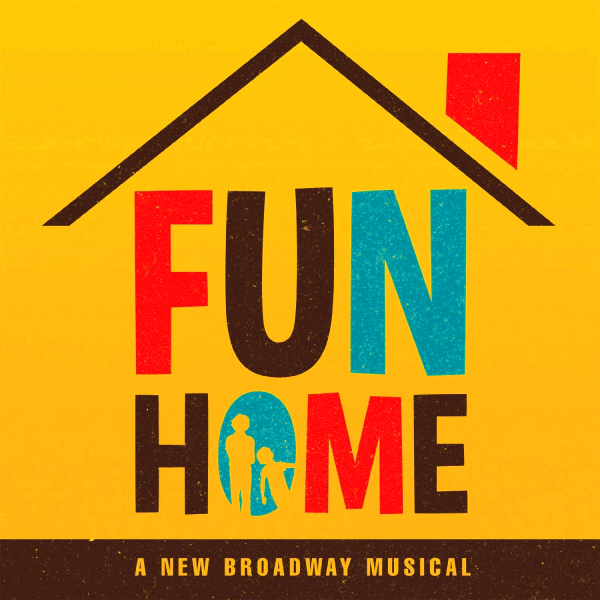 Paper Mill Playhouse is getting in the habit of doing several world premieres a season, and this new musical is based on the 1998 film starring Drew Barrymore and Anjelica Huston. It rings another change on the Cinderella story, this time taking the magic and fantasy element out of it. Instead of a fairy godmother you have Leonardo da Vinci, instead of “Prince Charming” you have a Prince Henry who resmbles a historical prince of that name (they stop short of total historical accuracy – that Henry actually married Catherine de Medici). Happily, Ever After is a thoroughly satisfying entertainment. The score to Ever After is effortlessly in a traditional musical comedy vein, without even the slightest whiff of pastiche or nostalgia – no minor accomplishment. Ebersole is delicious as stepmother Rodmilla, playing her as more bitter than truly wicked. The creative team know what they have in Ebersole, and have given her the suitably dramatic “After All”. Halston and Sheldon are toned down a bit from their more flamboyant performances; you won’t catch me complaining, however. If you can cast the very best, why not. Director/choreographer Kathleen Marshall has delivered a sturdy and attactive production focused squarely on storytelling. There are a couple of numbers that seem to be there strictly to serve as dance spectaculars, but they are so much energetic fun that it is hard to quibble. Recommended.